BrightTag, a technology platform provider for the digital marketing industry, has acquired SiteTagger for an undisclosed sum. BrightTag’s tag management solution helps companies more effectively and efficiently unlock the value of their business data produced by consumers on their websites. Built-in privacy management tools also help brands respect individual requests not to be tracked or targeted for advertising, as well as comply with all regulatory requirements specific to cookies and privacy. The acquisition of Cardiff-based SiteTagger forms the centerpiece of BrightTag’s expansion into the UK and Europe. BrightTag has made a significant investment in client services, sales and marketing staff, with its European operations being led by London-based marketing technology veteran James Sandoval. James becomes BrightTag’s SVP & Managing Director, EMEA, and will oversee the union of the two companies and spearhead growth efforts. SiteTagger founders Stephan Briggs and Paul Newbury will shift their focus to expand their Data-Centric Digital Services Agency, Yard Digital, on a full time basis. 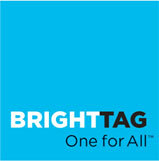 Yard Digital will become a strategic partner to BrightTag joining other leading agencies in the BrightTag ONE Partner Program. “BrightTag has taken the technology of tag management to a new level. They think strategically about data and how their clients can better solve short-term tag management problems while creating business opportunities through more data-driven marketing and analytics programs. They’ve built an innovative platform that will enable our clients to do even more over the long term, and this platform coupled with our experience and expertise in online technologies makes for a formidable team,” said Paul Newbury, co-founder of SiteTagger. BrightTag is building a new technical foundation for the next generation of online marketing. The company helps marketers, web analysts and IT professionals make online data instantly useful in any web or mobile application, while solving fundamental privacy, data quality and site performance challenges. Traditional methods of connecting websites to marketing and analytics services rely on individual tags and pixels that create silos of data. The BrightTag ONETMintegration platform moves beyond tags by directly connecting sites to services in real time, eliminating barriers and speeding innovation. BrightTag’s clients include many of the world’s top brands and hundreds of online marketing and analytics providers continue to integrate their technology with BrightTag ONE.